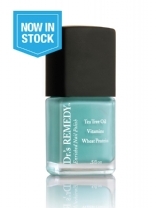 Dr.’s REMEDY is a podiatrist formulated nail care collection and is the first nail polish to receive the APMA (American Podiatric Medical Association) Seal of Approval. 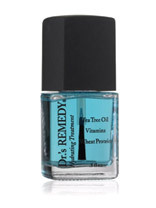 Dr.’s REMEDY®, Enriched Nail Polish contains a patented blend of naturally occurring anti fungal ingredients as well as, nourishing additives not found in traditional lacquers. Patients with yellow, discoloured nails. 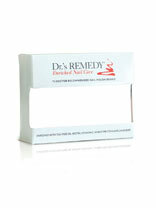 Dr.’s REMEDY® is a line of podiatrist formulated nail care created by board certified podiatrists, Dr. Adam Cirlincione and Dr. William Spielfogel. 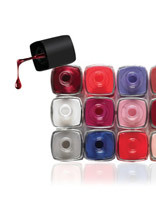 The collection of nail colours and nail care solutions can minimise the appearance of dry brittle nails, hydrate nails and cuticles and improve the wear-time of your nail colour. 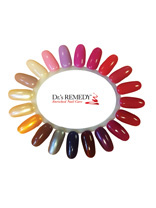 Dr.’s REMEDY consists of popular shades of nail colour along with nail care treatments such as base coat, top coat, cuticle care and a nail hydration. 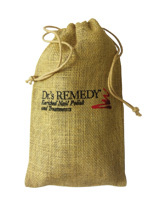 Each product is infused with a special blend of ingredients selected by Dr. Cirlincione and Dr. Spielfogel. This blend includes: biotin, wheat protein, tea tree oil, garlic bulb extract, vitamin C and lavender. Dr. Adam Cirlincione and Dr. William Spielfogel are board certified practicing Podiatric Surgeons based in New York who founded Dr.’s Remedy to address the needs of their patients. Both doctors have spent years of study and training in the field of Podiatry. Although, skilled surgeons, they realize a top reason patients come into their office is because of brittle, discoloured nails, often times associated with the harsh chemicals found in nail polish. As physicians they have always been interested in the products their patients use and are happy to offer nail care products formulated with their nail health in mind.